This post was sponsored by siggi’s, but all options are my own and I appreciate your support! I really enjoy grocery shopping. I don’t think I’ll ever be one of those people who orders their groceries online because I truly like perusing the aisles of the store at a leisurely pace and looking at everything. Some sections are less complicated than others, and dare I say the yogurt section might just be the most complicated of them all. So many choices, different brands, different flavors, etc. Even as a dietitian, I get overwhelmed with everything and try to spend as little time as possible in the section! Yogurt can go way beyond just breakfast or an on-the-go snack and below are some great examples of how you can incorporate it in fun and unique ways to add more nutrition to any meal. I don’t blame you if you just pick up the first yogurt you see and high tail it out of there., but in the hopes of steering you towards some better-for-you options, I’m sharing my pick when it comes to yogurt and why it checks all of the boxes to have a place in my cart, fridge and recipes! You’ll always find siggi’s in my cart for a variety of reasons but first and foremost because it’s made with simple ingredients and not a lot of sugar. It has a thick, creamy texture and tartness that satisfies my taste buds and keeps me fuller for longer , whether I’m eating it for breakfast or a snack. I like that the sweetness of all the flavors is not overpowering, because I don’t want it to taste like dessert! My boyfriend also became a huge siggi’s fan right around the same time as me a few years ago and now notices just how sweet other yogurts taste compared to siggi’s. Siggi’s was founded by Siggi Hilmarrason in his New York apartment kitchen over 14 years ago. Siggi longed for the taste of “skyr” a thick Icelandic-style of yogurt of his homeland and saw a need for a yogurt that didn’t contain as much sugar as a can of soda in America. He sold his first yogurt cup at a farmers’ market and the good news is, it caught on quickly! My favorite flavor has got to be their pumpkin & spice that’s available in the fall, but a close second and third would be vanilla & cinnamon and blackberry which are available year round. Be sure to keep up on @onceuponapumpkin, because I always share when I’m eating one! Ingredient list: length and simplicity. The longer the ingredient list, the more that yogurt has been processed and things have been added to is. See if you recognize a majority of the ingredients and remember, ingredients on the label are listed in predominance by weight meaning the things that are in that yogurt in the largest quantities are listed first. If sugar is the first or second thing then you know that yogurt is going to be high in sugar. Sugar & added sugar content. Sugar and added sugar in foods are things to look for across the board when grocery shopping. It’s especially important to look at when you’re looking at the yogurt label because many can contain artificial sweeteners like aspartame or sucralose, and use things like high fructose corn syrup, which I like to avoid. Aim for a yogurt with less than 12 grams of sugar. Siggi’s continues to innovate and evolve their products, and now offers two flavors with no added sugar or sweetener. They’re sweetened with just fruit! Protein content. Most of us grab a yogurt for breakfast or as a snack and choosing one that contains a fair amount of protein will help to keep you fueled for longer in those scenarios. I like that siggi’s has more protein than sugar, averaging about 15 grams in a cup. 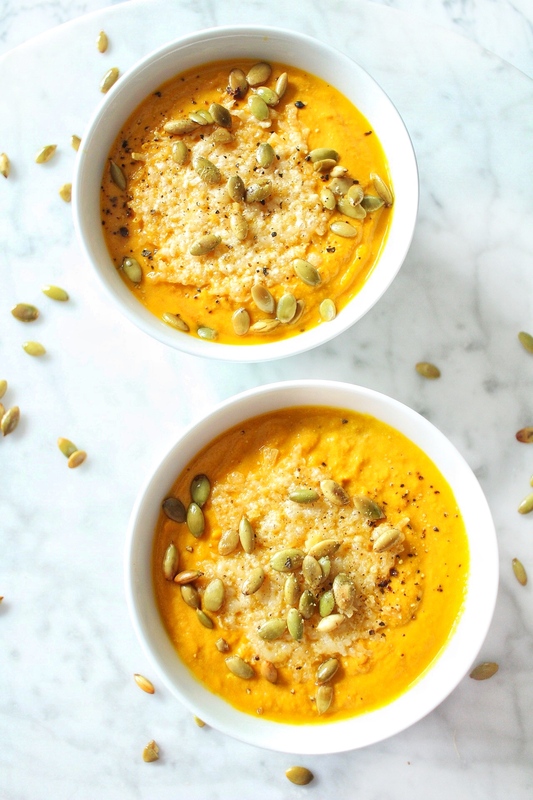 For more seasonal recipe inspiration with siggi’s, be sure to check out my Once Upon a Pumpkin Cookbook featuring a lemony pumpkin soup, and a pumpkin spiced yogurt bowl that incorporate siggis! Check out all of siggi’s flavors and products here, and if you’re a registered dietitian or health professional, be sure to join their health & wellness program with great resources for your practice and or clientele.